The endangered species list gets larger by the day, so there are more and more talks about wildlife conservation and how it should be done. Every species has its place on this planet, with a job it needs to do. If these animals, plants, insects, and other creatures keep disappearing, there will be a larger impact on the human species. It’s more important than ever for us to continue taking steps to help conserve our wildlife and keep our ecosystems running smoothly. Listed below are a few reasons to help in wildlife conservation and how we can accomplish that difficult task. To help with wildlife conservation, you must first understand what’s putting it in danger. Protecting these endangered species, helping them breed, and encouraging their survival are steps we have to take very seriously. Destruction of Habitat - There are many animal species that find it difficult to live and breed when humans populate their environment. We tend to take over a habitat, create stress for the creatures that live there, and eventually destroy their homes, food sources, and general resources needed for surviving. Migration Across International Lines - There must be cooperation between different governments to protect certain species that have a migration pattern that span across country borders. This can be difficult in war-torn countries or in areas where wildlife conservation does not hold as much importance to the populace. Pet Trade - Popular pet animals like exotic birds can often die during shipping or due to abuse and neglect. These types of animals need special care, and most people are unaware of the long-term commitment they take. These are just a few factors that can pose a risk to wildlife, and there are steps we can take to turn these things around. We first need to remember that once an animal is extinct, there is no bringing it back. We also need to spread information on why wildlife conservation is important, not only for the animals at risk, but also for us and our future on this planet. Agriculture - Wildlife conservation can help to secure future food supplies. Individual crops suffer from diseases just like we do, and entire fields can die off due to a single blight. Wild plants have the potential to contain the genetic materials necessary to beneficially modify crops currently in use, and these wild plants could be used as the basis for developing biodegradable pesticides and other useful substances. Research - There are many undiscovered plants and animals out there in the wild still to be found. It’s important to maintain ecosystems for the sake of wildlife that can provide substances that could be used in medicine and pharmaceuticals. 50% of the drugs available in the US were originally developed from microbial organisms, plants, and animals. Continuing to research our natural resources and promoting wildlife conservation is efficient and worthwhile. It’s likely that failed attempts at wildlife conservation will ultimately cause medical science to lose important sources of knowledge. 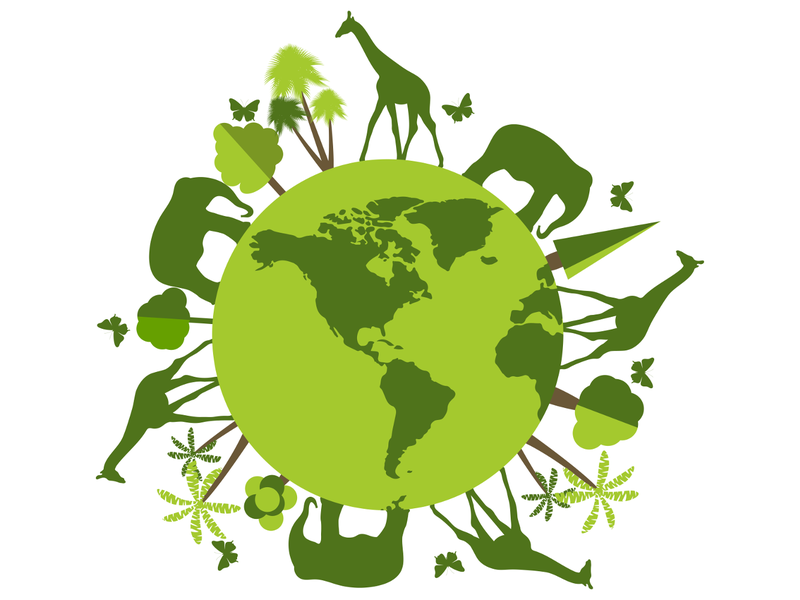 Biodiversity - Throughout nature, different species are connected through several complex food webs. The disappearance of one species can influence several others. The extinction of an animal may not be directly important economically or culturally for surrounding people, but it's crucial to the ecosystem and could unexpectedly affect any type of creature. This being said, wildlife conservation overall is a general preventative measure for any unforeseen problems in the future. Environmental Indicators - The simple fact that various animals can serve as an indicator for other environmental problems is a rarely discussed benefit of wildlife conservation. A change in animal behavior or health out in the wild can help us find other problems that need addressed before we would have even known about them. Wildlife conservation may help solve other environmental problems over time at a faster rate than scientists could find them on their own. Education and Enjoyment - The study of any animal and their habitat can be a valuable learning experience and joy for students of any age. There are so many benefits to that class trip to the zoo, nature center, conservation, or park. Failures in wildlife conservation leave teachers, students, and enthusiasts with fewer and fewer resources over time. Educational value to all students. Recreation for photography, safaris, bird/animal watching, and hiking/backpacking. Livelihood for individuals, from farmers and their crops to hunters and their sale of the meat. Economic value by attracting tourists to a mountain town or safari tour. There are so many ways that wildlife conservation is important in your life, even if you can’t see it from day to day. The steps you take now will make for a better future for upcoming generations of people, as well as all of the other species that also inhabit this Earth. Along with wildlife conservation, Ranger Mac is a huge proponent of conserving our national parks and monuments. Learn more here!